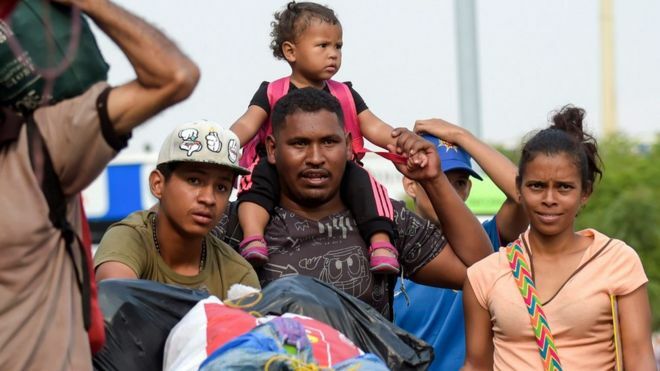 Commonsense & Wonder: Venezuela crisis: Military 'blocks aid corridor'...remember socialism is "for the people"
Venezuela crisis: Military 'blocks aid corridor'...remember socialism is "for the people"
"Troops from the armed forces are blocking the pass", he said. 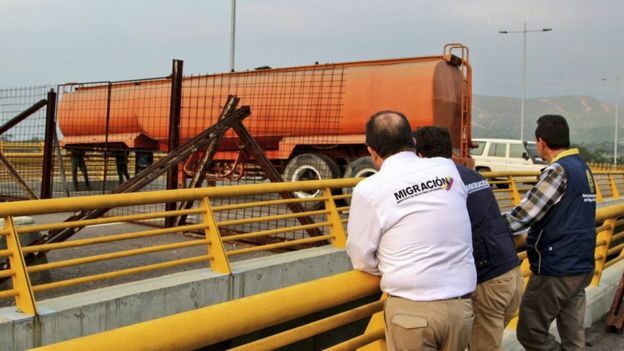 "You know there's a red line, you know well there's a limit, you know that medicines, food and medical supplies are that limit," said lawmaker Miguel Pizarro. Mr Maduro said humanitarian aid would be the start of a US-led invasion, insisting that "no one will enter, not one invading soldier." In his State of the Union speech, he reiterated his support for Mr Guaidó saying "we stand with the Venezuelan people in their noble quest for freedom."